Clara-Ann (O’Rourke) Walsh, 76, passed away on February 8, 2019. She was the beloved wife of Gerald E. Walsh, Sr. and daughter of the late John B. and F. Clara (Potvin) O’Rourke. Clara-Ann, formerly of Providence, Bristol and North Providence, was a graduate of the St. Joseph’s School of Nursing. She was employed as a Registered Nurse in the Providence area for many years. Clara-Ann, along with her husband Jerry of 53 years, were proprietors of Walsh’s Pub on Smith Street. She was instrumental in bringing back the St. Patrick’s Day Parade to the City of Providence. 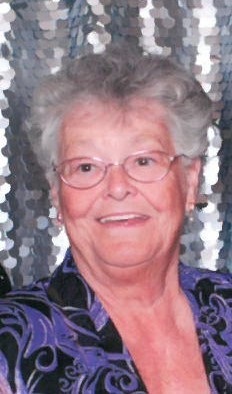 She loved to spend her days on the porch in Falmouth, painting and enjoying crafting with her grandchildren. Clara-Ann is survived by her children, Christine Walsh O’Neill, her husband Joseph, Gerald, Jr and his wife Jennifer, Colleen, and Sean and his wife Sara Walsh. She is also survived by her 11 grandchildren DJ, Nicholas, Jessalyn, Jaimee, Lee, Taylor, Abbigail, Parker, Keilan, Brayden, and Emily, and her 2 great grandchildren, Jameson and Natalie. She was the sister of the late John “Jack “O’Rourke. Calling hours, Tuesday, 4 – 8 PM, in the Russell J. Boyle and Son Funeral Home, 331 Smith St. Providence. Funeral Wednesday, 8:45 AM, followed by a Mass of Christian Burial at 10 AM in St. Patrick Church, 244 Smith St., Providence. Burial in the RI Veteran’s Cemetery, Exeter. In lieu of flowers, donations may be made in Clara-Ann’s name to the American Heart Association, 300 5th Ave. Suite 6, Waltham, MA, 02451.